Since World War II, North American cities have been built for cars, but many innovations are happening to redesign cities for safer walking and biking. One smart redesign solution is the Vancouver model, which in 2012 devised a transportation plan which reflected a hierarchy of modes—with walking at the top of the list, followed by cycling, transit, taxi/commercial transit/shared vehicles like Car-Share, and only lastly private automobiles. This is a refreshing move away from car culture that is both kind to the planet and healthier for its human inhabitants. 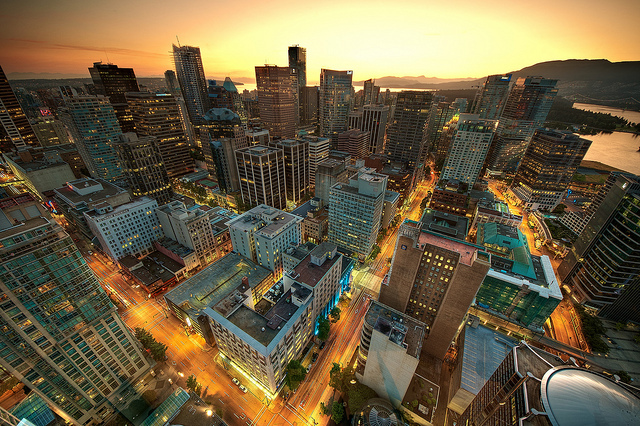 The Vancouver model guides everyone toward green decisions versus working under a plan with underlying assumptions that prioritize the convenience of vehicle traffic. According to the World Health Organization, people have a 90 percent chance of survival when struck by a car traveling at 30kph, but at 45kph the chance of survival goes down to 50 percent. Outside the urban core where cars go faster, pedestrians and cyclists have almost no chance of surviving an impact with a car going 80kph. And 88 percent of pedestrian and cyclist collisions in 2014 were for driving violations. The Swedes have also pioneered what they call Vision Zero—a zero tolerance toward street injuries based largely on reducing vehicle speed, since speed is a key factor in reducing pedestrian and cycling deaths. NYC has been trying this out for a year and a half and has announced a record low number of pedestrian deaths after implementing the program, by simply reducing vehicle speed in the city to 40kph. “World Speed Limits” by Amateria1121-—Own work. Licensed under CC BY-SA 4.0 via Wikimedia Commons. A combination of small but helpful innovations is being tried out in various cities of North America. One is painting zebra stripes across heavily used downtown crosswalks, marking city centers as pedestrian focused places. Although every intersection is a legal pedestrian crosswalk, many drivers do not honor this. Limiting red light right turns could further prevent many, many collisions in these intersections. 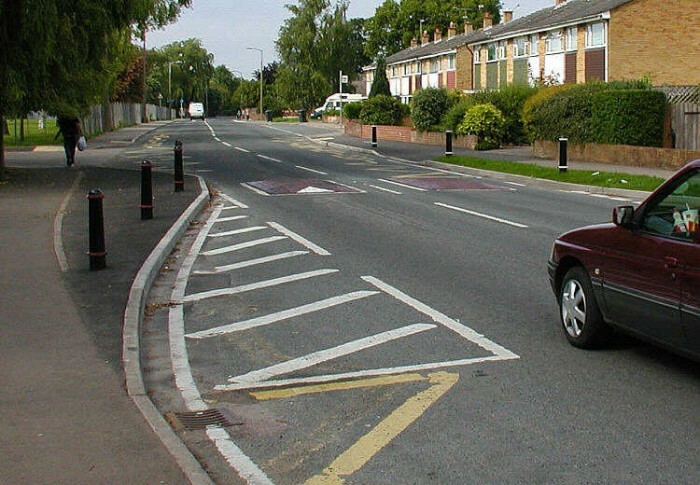 Speed bumps help cars slow down as does reducing the width of streets. Speed bumps are not popular with car owners, but if they actually slow, no damage is done to their cars. Reducing the width of streets to accommodate bike lanes both slows vehicle traffic and encourages sharing the road. It has been proven that the wider the road, the faster the cars. Curb extensions of the sidewalk at intersections are another favorable safety improvement. Pedestrians become more visible to drivers, and pedestrians can see beyond parked cars and snow banks without slipping into traffic to do so. Curb extensions also tend to slow traffic at intersections, while shortening the distance pedestrians have to cross. And they provide a safe refuge similar to pedestrian islands in the middle of wide, multilane streets. Creating extra turns in a road or suburban streets also calms traffic by forcing drivers to slow on the curves. If we are going to move away from car culture to be kind to the planet and more safe and healthy ourselves, we need to redesign our cities for pedestrians and bicycles, which burn no fossil fuels. And this will greatly reduce the number of needless collisions, injuries, and traffic deaths. The Embarrassingly Simple Solution to Climate Change. Urban Composting. How to convince your building that it’s cool. California electric-car automaker Tesla says drivers of its Model S sedan have accumulated one billion road miles around the globe. This prevented 520,000 tons of carbon dioxide from being added to the atmosphere. So if you have to drive, try electric! Cyclists often contend with aggressive drivers who fail to signal and who stop abruptly to pop out for an errand. In Paris signs are being installed at 1,800 intersections informing cyclists they're free to sail through red lights to go straight or to turn right–in the hope that more Parisians will bike if they're not caught besides trucks and buses as they wait for lights to change. Meanwhile the Dutch company SolaRoad has tested a 70 meter section of a solar bike path (it's embedded w/ solar panels!) near Amsterdam, which has already generated 3,000 kilowatts of electricity, enough to power a single-person household for a year. And in Canada, Nova Scotia is making an effort to connect the entire province through a network of bicycle routes. The first section from Pictou to Bible Hill has opened, stretching for 60 kilometers. Eventually this Blue Route will feature 3,000 kilometers of bike-friendly routes connecting the forests, farmlands, and mountains of the province. Bicycle Nova Scotia has been working toward this since 2007, so Nova Scotia is a part of communities around the world investing in bicycle infrastructure. Meanwhile in the capital of Nova Scotia, a 216 kilometer greenbelt is in the works–thanks to the Halifax Green Network Plan, with activities like swimming, cycling, hiking, and running offered all along the way. Good trends: Even though there are more teenagers in the USA than ever, less than 1/3 have a driver's license, vs 1/2 a generation ago. Baby boomers may have been raised in the suburbs, but as they retire, a significant contingent is favoring older cities and compact towns where they can walk and ride bikes. Seniors are more likely to use transit, esp. in the winter, and by 2025 there will be 64 million Americans over the age of 65. Moving away from car-centered cities makes streets better places to be and restores more public space. 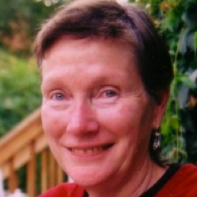 Linda Lewis met the Vidyadhara Chogyam Trungpa Rinpoche in 1972 and, following Rinpoche’s invitation, immediately moved to Boulder, Colorado to be a part of his young and vital sangha. The predominant themes in her life have been teaching in contemplative schools–Vidya, Naropa, and the Shambhala School in Halifax, Nova Scotia–and studying, practicing, or teaching his Shambhala Buddhadharma wherever she finds herself.